According to realtor.comⓇ, the listing agent and buyer’s agent split about 6% of the home’s sale price. You’ll need to calculate how much it costs you to stage and photograph your home, get an MLS number, market the house, take time from work to schedule showings as well as host the showings, do all of the paperwork involved, and contact and pay attorneys and others who are involved in a home sale, and compare it to the commission you believe you’ll give up to an agent. To be fair, the seller should offer a 3% commission to the buyer’s agent. Otherwise, most agents won’t bring anyone who’s interested to your home for a showing. Sellers are responsible for any mistakes that have occurred once the transaction is in motion. If you don’t purchase errors and omissions insurance, you may end up paying out of pocket in court or settle out of court for those mistakes. 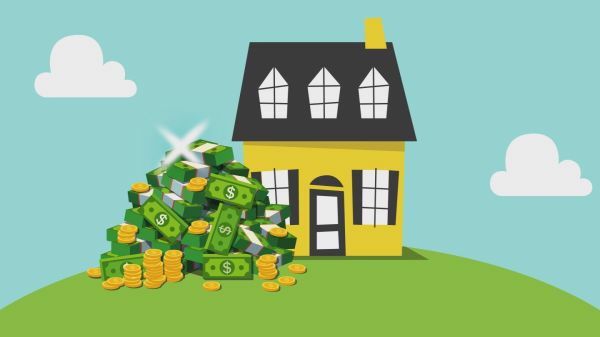 Pricing your home takes more than just an online search for sold homes in your area, and not only can you overprice your house, but you can lose thousands by underpricing. Scammers abound and can cost you in many ways. These criminals target FSBO homeowners, because the scammers are savvy enough to make their offer look legitimate. Beware the owner’s asking price. Since the majority of FSBO sellers don’t have the experience to set a good market value on their home, their quote will likely be too high. Be prepared to wait some time to see the home. Most homeowners have full-time jobs, and you’ll have to view the home on their time, with them as your host. If a seller tells you their house is in perfect condition, and you can save money by not hiring an inspector, walk away. Every house even brand-new houses should be inspected before changing hands. Ask the seller what fees they plan on paying, and in the case that they ask to share the costs with you, it’s time to find another house. Do your own research on the house, make sure the person you’ve talked with is the actual owner, and proceed with caution. There are scams that involve an empty house, FSBO signs, and scammers who will take your money and run, because they aren’t the rightful owner. Reputable moving companies charge a fee based on weight, along with their base fee. If you’ve talked with someone who has given you a basic price without coming to your home to estimate, or who doesn’t look at everything you have, they may throw an extra fee on your balance before they’ll move your items into the new home. If the movers ask for a deposit, find another company. Paying money up front takes away your control over having your belongings delivered where and when you want them. Before you or the movers start packing, take a written inventory of your things, and take photos of fragile, expensive, or irreplaceable items. Get a contract, go over it with a fine-tooth comb, and once it’s signed, make your own copy so you won’t have and edited version with added charges once it’s time to deliver to the new home. If you’re moving to another state, movers are required to give you a booklet called “Your Rights and Responsibilities When You Move,” according to the Office of Inspector General. If the company you’re interested in doesn’t offer it to you, ask for it, and if they don’t have it, find another mover. Once things are packed, number your boxes and list them on your inventory, and once you’re moved in, unpack or at least look in every single box. Your time for filing damages is limited, and the sooner you get that done, the better. Most mover’s insurance only covers damage to items that they packed. If you insist on packing some things yourself, take them with you in your vehicle or rental. Stumped on finding a reputable company? Head over to the American Moving and Storage Association’s website, where it’s easier to find a mover in your area. Remember, your RealtorⓇ knows all about the ins and outs of moving and can help you locate a good company who will take care of your worldly goods and treat you right. That’s right–classes for home buyers! 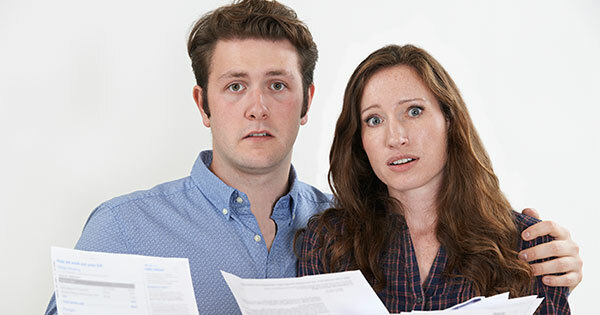 If you’re just starting out on your home-purchase process, you may get overwhelmed when you find out all that’s involved. Sadly, it’s not as easy as finding a house, paying for it, then moving in. It’s a great idea to learn all you can about the process as well as being a homeowner. The Department of Housing and Urban Development has a list of free classes in every state, from credit counseling and home maintenance, to housing for seniors. Click on your state and find all that’s available to you. If you are purchasing your home through FHA, USDA or other agency, you may be required to take the courses. Before deciding what workshop is best for you, make sure it is certified through HUD, and any credit courses are nonprofit and accredited by the National Foundation for Credit Counseling or the Association of Independent Consumer Credit Counseling Agencies. Don’t wait until you’ve found a house you want to purchase before signing up! Find a course that will help you learn the ropes from house-hunting to closing so you’ll feel confident when you contact a RealtorⓇ to begin your search. Credit counseling is best done about six months before you start looking at homes, so you can learn about improving your credit score, as well as creating a budget and sticking to it. You want the highest credit score possible so you can receive pre-approval for a mortgage. Don’t have enough saved for a 20% down payment? A workshop will help you find a program that will assist you with finding low down payment programs, as well as if there are any grants available in your community. HUD-approved counseling agencies usually offer one-on-one sessions so you can get a better understanding of your own personal financial situation, as well as answer any specific questions you may have. Many workshops have more than one “instructor;” you will hear from lenders, appraisers, inspectors, and insurance agents that will discuss their roles in the home-buying process. When dreaming of buying your own home, don’t let all of the information overwhelm you and keep you from even trying! If you are pressed for time with work and family, online course may be for you! All it takes is this first step, and you’ll find that a home-buyer course will show you won’t be alone on the road to home ownership. If the house was built before 1978, make sure the home inspector looks for lead paint and asbestos, as both can be health hazards. Have the foundation thoroughly checked if it is original to the house. Even the most solidly-built houses can have settling, water damage or corrosion. Not only are older mechanical systems likely to fail since they’re at the end of their lifespan, they are less energy-efficient. Plumbing and electrical systems can be old enough that they need to be replaced; old pipes can affect water quality and worn out wiring can be a fire hazard. Unsafe features that may be charming may not be up to current code. Check for steep stairs, non-working fireplaces, and laundry chutes, especially if you have younger children. Older homes are usually in established locations, and are in good school districts, as well as being close to shopping and restaurants. Houses built before the 1970’s are generally sturdier, simply because the lumber used to build them was made from old growth hardwoods, something that isn’t available today. The lots in areas where you find older homes are usually larger, and that may mean more maintenance, but it also means more room for playing, pet exercise, and outdoor entertaining. You just don’t get the charm and character in new construction like you do in an older home, even if the styles are similar. 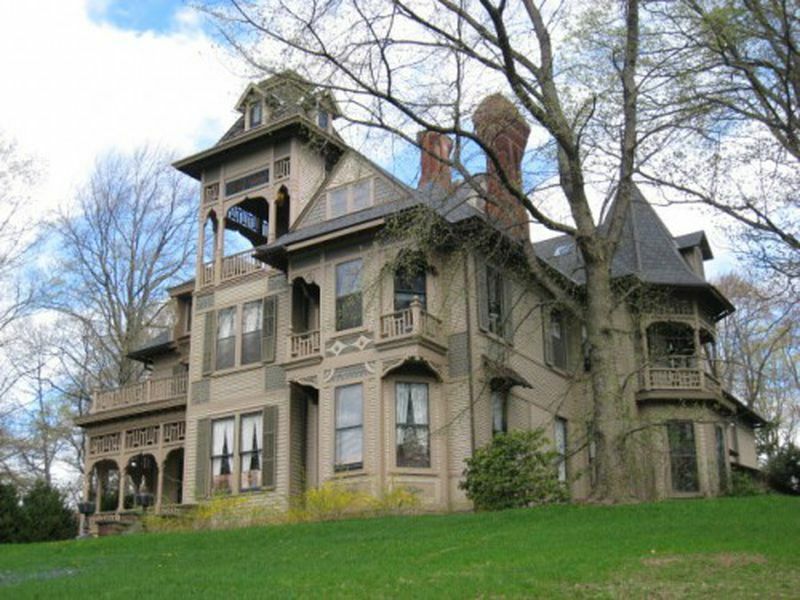 Prices of older homes are usually lower, unless there is historical significance to the house itself or to the area. In order to be certain that the home is worth the amount of the loan, there will be a home appraisal performed by an unbiased inspector of the lender’s choosing. At the final paper-signing, the buyer is required to pay closing costs, which normally include attorney fees, surveyors, inspections, and title insurance, among other things. Be prepared to have 2-5 percent of the purchase price for closing costs. If you’d like to pay less interest over the time of your loan, you can purchase discount or mortgage points. To learn more about this option, check out these tips from the Nerd Wallet website. Earnest money is money that will be paid to the seller to show good faith of the buyer towards the home purchase. It will be applied to your down payment. When you have funds in escrow, you will have given funds to a third party to hold until they have verified that inspections, disclosures or any disputes have been resolved. Keeping it in escrow protects your deposit before you sign the final contract to buy your new home. Pre-approval is very important and differs from being pre-qualified. If you’re pre-approved for a loan amount, you have a realistic expectation of what you can buy. If your down payment is less than twenty percent of the purchase price, you will pay private mortgage insurance typically until that amount reaches twenty percent of the loan or home value. Your lender will require the purchase of title insurance, which protects real estate owners and lenders against any property loss or damage for whatever reason. 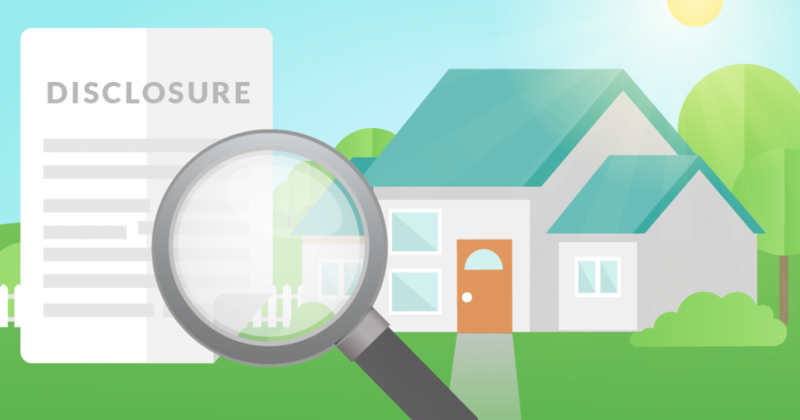 Learn more about what title insurance is and what it covers from the CFPB. There are other terms and abbreviations you may find in your search for a house in their descriptions and about real estate in general that you won’t be familiar with. Here’s a longer, more comprehensive list from realtor.comⓇ. The more you know before you get started, the smoother the home-buying process will be! Is it okay for a buyer to move in before closing? Dec. 3, 2018 – Buyers often anxiously await closing so they can enter their new home. In some cases, however, they ask if they can move a few things in early so they can hit the ground running. In other cases, the buyers may have a time gap between closing on an old home and moving into their new one. As a result, it’s not uncommon for a buyer to ask a seller if they can move a few things in early, either possessions or themselves. Nice sellers often try to accommodate nice buyers, but there are dangers to allowing someone to move in early. According to Cara Ameer, a broker associate with Coldwell Banker Vanguard Realty in Ponte Vedra Beach, Florida, who writes for Inman News, there are six good reasons for a seller to say, “No, I’m sorry you can’t,” when a buyer asks for early access to a home. A buyer moves in early, and the sink plumbing springs a leak. Will the buyer now fix it – should the buyer fix it? What if the buyer somehow thought the sink could support a grown adult and sat on it? Who pays? If the buyer and seller have not signed any kind of pre-occupancy or lease agreement, what happens if something worse than leaky plumbing occurs, such as a major injury? The seller may be liable. In addition, what happens if wooden floors get scratched as movers drag new furniture across a room? What if a hurricane destroys everything the buyers stored in the garage? Even with proof that the buyer caused damage, it could become a new negotiating point the buyers use to request further concessions from the seller. Ameer says the “list of what-if scenarios is endless.” Paint can spill, contractors can fall and lawn people can break sprinkler heads. Overall, there’s a great chance that the seller – or his insurance company – will be responsible for any pre-closing damages to both people and properties. During a showing, a house can be the American Dream, but that feeling can fade once buyers realize it’s also a lot of work. Or perhaps the buyers continue to look at new homes that come onto the market, and one is a bit dreamier than the American Dream they’re preparing to buy. If a situation arises where the seller can also lose a deposit, they’ve lost time and money pulling their home off the market while waiting for the buyers to change their mind. Perhaps a buyer, once inside “their” new home, buys furniture and dings their credit score – or maybe something else happens, including things like wire fraud that sends the buyers’ mortgage money to a criminal organization in Siberia. Sellers want to get their home on the market quickly if a deal falls through, but this creates a whole set of other possible problems, especially if the buyer has no immediate place to go. In addition, a ready-to-show home that has been lived in for three weeks might need to be cleaned again. While there may be a good reason to allow buyers access to a listing before closing, good-hearted sellers who say, “Sure, go ahead,” as soon as their buyer asks for early access should at least take a few minutes first to consider all the possibilities. “In the event you have sellers willing to allow buyers in early, you should recommend, in writing, that the parties get a pre-occupancy agreement – preferably one drafted by an attorney – in place before moving forward,” recommends Meredith Caruso, Florida Realtors’ manager of member legal communications. CHARLOTTE, N.C. – Nov. 5, 2018 – LendingTree’s latest State Migration Study discovered that 12.1 percent of homebuyers across the country plan to change states and most plan to head south – and the largest number prefer Florida. It’s the top destination for residents of 15 out of 50 U.S. states, most of which are located up and down the East Coast. To do the study, LendingTree reviewed more than 2 million new-purchase mortgage loan requests for primary residences in all 50 states in 2018 through mid-November to find what percentage of all requests were from residents looking to move outside of their current state and where their destination would be. The results details the most popular new locations for homeowners in each state, along with the states with the highest percentage of requests to move to other parts of the country. Of all purchase mortgage requests during the study’s period, 9.1 percent were for Florida, LendingTree reports. For out-of-state movers, 12.4 percent of requests were for Florida. The Sunshine State has a long history of bringing in visitors and new residents, particularly retirees. Texas residents love the Lone Star State. Texas had the fewest percentage of residents looking to move out of state – only 6.6 percent – but Florida was also the top destination for the few considering a longer ride in a moving van. Texas was also the top move-to state for residents of six other states. However, Florida also had fewer residents looking to move away. After Texas, only 8.6% of Michigan residents are considering such a move – but again, their top choice is Florida. For the 8.9 percent of Florida residents considering an out-of-state move, it won’t be a long drive: 13.8 percent listed their top preferred state as Georgia. Alaska has the most residents looking to move away – 24.8 percent. The top destination out of Alaska was Washington state. Most people looking to move out of state don’t want to go far – more than half of them chose a state next door. But if they are looking to move cross-country, chances are it’s to Florida. Of the 20 states where the residents’ most popular new location doesn’t border their current state, 13 were Florida. Bigger is better almost all of the time, except when it comes to the amount you’re spending on a new home. There are certain things that we should look for in a new house, but also things we shouldn’t. If this is your first time buying a home, and you know the budget will be tight, plan well enough, and you’ll better manage the expense of being a homeowner. Decide before you start house hunting how much you can spend. We can’t say it enough: plan a budget and stick to it. Just because you are approved for a certain loan amount, it doesn’t have to be spent. If you can find a house that you love for less than the approval limit, then go with it. Getting a house in a great school district is wonderful, but if you don’t have children, or will likely move once you do, don’t spend the extra to move into an area that is probably higher priced because of the quality of local education. When it comes to the kids, do they really need a play or media room? If your children are involved in after-school activities and spending a lot of time at practices, rehearsals and lessons, then the extra space won’t be used often. The extra cost in the purchase price–not to mention the utilities to heat and cool the rooms–will be money wasted. That same thinking goes hand-in-hand with living in a bigger house, period. Larger houses will cost more in insurance, taxes, and utilities. Even if your mortgage payments will likely be cheaper than your current rent, the extra costs can hurt your wallet once you move. If you’re not the type that likes to do yard work, or if you don’t want to spend your time off work mowing, raking, weeding and trimming, then a large beautiful yard isn’t worth the money. A house that needs simple cosmetic updates is great for those who have the time and money to perform these jobs themselves, but if you buy a house that’s within your budget with the intent to do extensive work, it may cost you much more in the end. The wisest thing to do during the home-buying process is take your time and think practically. Have your needs at the top of your house-hunting list, and your wants further down. Falling in love with an amazing house can cloud our home-buying decision. You don’t want to spend your days in an amazing house worrying about how you’ll pay for it. Buy what you can afford, and what you’ll truly live in and enjoy. 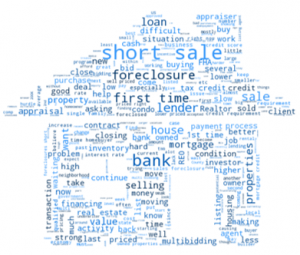 Zillow.com defines the term disclosure as “…the buyer’s opportunity to learn as much as they can about the property and the seller’s experience in it.” In most states, this simply means that the seller must let the buyer know about problems that they are aware of. Whether you’re selling or buying a house, disclosing issues with the house is an extremely important part of the process. Your listing agent will provide a form for you to fill out, answering questions with either yes, no or I don’t know about different aspects of the house. This form should be filled out truthfully and to the best of your knowledge. Items that most states ask you to disclose to the buyer: lead paint or asbestos, previous repairs or additions, mold or water damage, pest issues, drainage problems, foundation cracks, problems with HVAC and other appliances, and if the roof is leaky. If you think there might be a problem, say possible mold in the crawlspace, have an inspector come and have a look. It’s better to be safe than sorry here. While you’re going over the disclosure form, if you’re not sure if you should report something, report it anyway. It’s best to err on the side of caution. Have the disclosure ready before you’ve accepted an offer for your own protection. Your listing agent will be aware of all government disclosure requirements–federal, state, and local–so be prepared to report all that these laws ask of you. Once you receive the disclosure statement, go over it carefully and ask questions if you’re not sure about anything listed, because you must sign the disclosure. The extra expense of having an official inspection done on the house is vital to this part of the sale. Have the disclosure form information with you when you meet the inspector at the house, so you can go over the problem places with a pro. In the case of any additions to the home, check the local government building permit and zoning information to make sure the addition was done the legal way by licensed people. If you have any issues with the seller’s answers on the disclosure statement, and don’t want to make the repairs, and can’t come to an agreement with the seller, it may be best to walk away and look for another house. Once you are satisfied with the disclosure and have the peace of mind that the sale should go through, sign off on the disclosure.